Did you wake up yesterday morning singing Bret McKenzie’s ‘Man or Muppet‘? Is The Artist YOUR favourite film of 2011? Was Rango the best animated film? Have you seen Sacha Baron Cohen’s latest stunt? Were you taking your own (hopefully mental) notes on the best and worst dressed? The Oscars are a huge event and if you are interested in film or animation, the chances are you were watching. (If you didn’t see the ceremony you can view all the winners here). It’s no secret that film can be a tough industry to get into. If it’s what you want to do, you can never get started early enough. Inside knowledge about the industry, interviews with practitioners who want to pass on the benefit of their experience and lots of quotes and images to expand your frame of reference are all good ways to get inspired and get ahead. To celebrate the Oscars we have reduced the prices on all of our film and animation titles for the next two weeks. 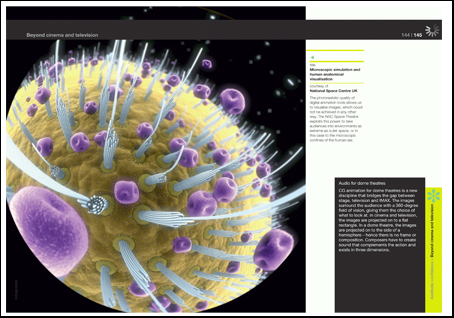 Some spreads from our film and animation books are below. All titles are available from www.avabooks.com with free postage and packaging for delivery addresses within the UK. 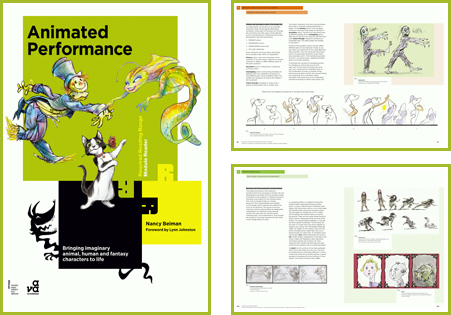 Aspiring animators should check out Animated Performance by Nancy Beiman – which Cartoon Brew’s Jerry Beck referred to as ‘an instant classic’. Now only £19.99 – you save £15! Read the reviews. Bewitched by Madam Tutli-Putli’s eyes? 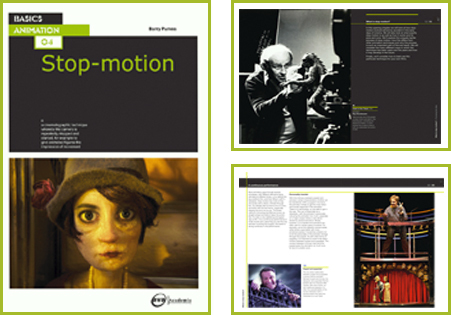 Stop-motion enthusiasts should consider Stop-Motion by Barry Purves, which AWN’s Mark Osborne called: ‘a perfect companion for anyone interested in stop-motion at any level.’ Now only £13.99. Read the reviews. 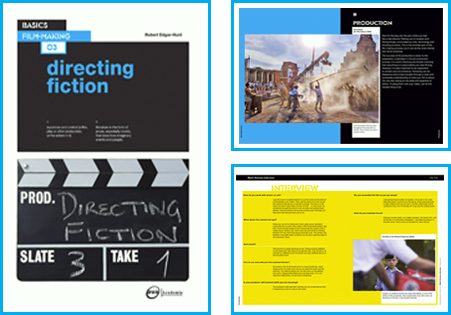 If you picture yourself sitting in a director’s chair, then have a look at Directing Fiction by Robert Edgar Hunt. One film lecturer told us ‘No budding film-maker could fail to find something valuable here’. Now only £13.99. Read the reviews. What do Dorothy’s red slippers mean to you? 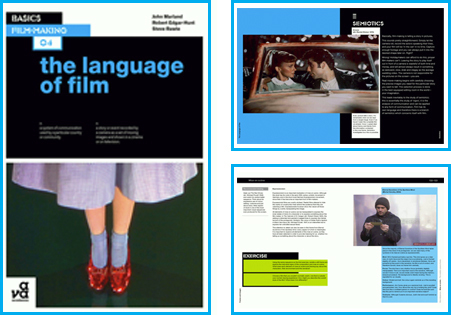 Making film theory digestable, from Grease to Pan’s Labyrinth, Memento to Die Hard, Battleship Potemkin to Eternal Sunshine of the Spotless Mind, The Language of Film asks how films create drama, meaning and emotion. Aspring film critics will also appreciate the suggestions for further viewing. Now only £13.99. Read the reviews. 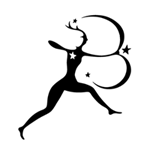 There are animation and film-making bundles available on the special offers section of our website. And two of our animation titles, Digital Animation and Drawing forAnimation are currently available for only £9.99 each.